New board members are Aaron Koseki, Ph.D., and Aida Wen, M.D. Their terms of office are from 2012 to 2015. 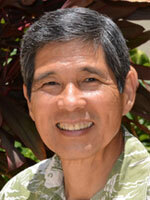 Dr. Koseki is a professor in the health Sciences Department at Kapi’olani Community College and teaches in the Respiratory Care Program where he serves as the Director of Clinical Education. He has served as the principal investigator for various grants and community-based, workforce development projects awarded to KCC. Dr. Koseki is also active in community and professional organizations. 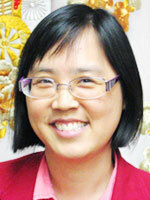 Dr. Wen is an Associate Professor at the University of Hawaii, John A. Burns School of Medicine, Department of Geriatric Medicine. She is serves as the Medical Director of Hale Ho Aloha Nursing Facility, and the President and founder of the Hawaii Medical Directors Association. She is board certified in geriatrics and her career passion is to improve the quality of care for nursing home residents. Dr. Wen is also involved in several collaborative nursing home quality improvement projects over the past several years, and has chaired the Annual Long-term Care Conference since 2009. D. William Wood, Ph.D., former HHSC Oahu Region chair, has been appointed to the HHSC Corporate Board of Directors, Oahu Region Community member, effective July 1, 2012.